5 Tips to Get Your Roof Ready for SummerDo You Need a New Roof? 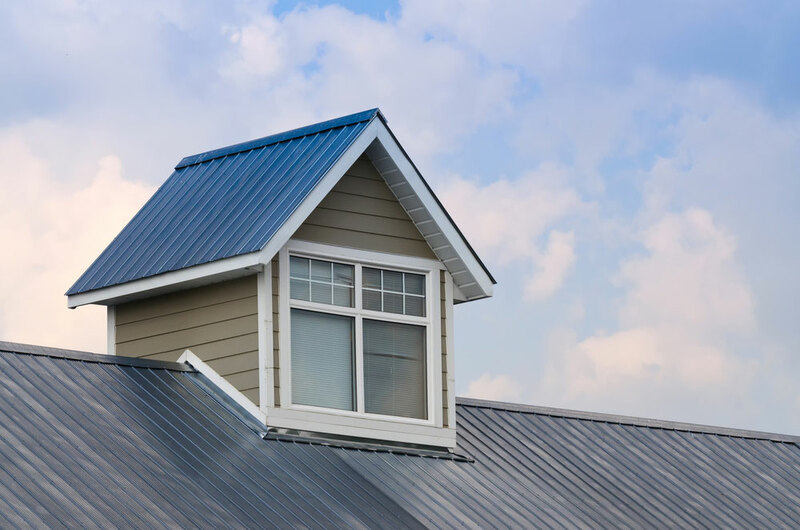 Over the past decade, the presence of metal roofing has almost quadrupled, as it allows homeowners to make important improvements on their home without breaking the bank. However, if you are considering investing in this roofing material, then it’s important to be aware of the core advantages of metal roofing, as well as the disadvantages. One of the core advantages of metal roofing is the extended life expectancy. When a metal roof is properly installed, you can expect it to last at least fifty years, with most manufacturers offering a thirty year warranty. The roof itself should effectively seal the house from water, snow, mildew, insects and rot. The hardy shingles will also withstand high winds and be completely fire resistant. Metal roofing is extremely lightweight, especially compared with traditional roofing titles like clay, concrete, and slate, which require additional reinforcement and framing for support. Metal roofing places less pressure on the frame and structure of the home because of its comparative light weight. Metal roofing materials will often be provided in multi-sectioned panels so the installation process is a lot faster than using individual roofing tiles. As well as, because the material itself is so lightweight you won’t need as much manpower to install it. Installing a metal roof will actually help to keep you home cool and reduce your air conditioning costs. The metal will reflect the heat from the sun and minimizing the heat that permeates through to your home. Metal roofs are possibly the best type of roof you could have for fire-resistant properties because they are completely non-combustible. Protect the safety of your family and the structural integrity of your home by investing in metal roofing. The importance of style and curb appeal should never be overlooked. Metal shingles come in a wide variety of sizes, shapes, textures, and colours. No matter your personal preference, you can find a metal roofing product that speaks to you. Although the advantages of metal roofs are numerous, it’s also important to be aware of potential disadvantages that may result over time. A metal roof is going to generate a lot of noise. If the roof is poorly insulated, a light rain shower will sound like a hailstorm and a hailstorm will sound pretty intense. However there are ways around this, such as including a soundproof barrier between the roof and the ceiling. This should minimize the amount of noise that gets through to the rest of the house. If you have a roof made from slate of concrete tiles you might worry about tiles falling off or even cracking. With a metal roof, you are going to be worrying about dents. These dents are easily caused and can even occur from something as simple as hailstones falling onto it. Most quality metal roofing products include a warranty against chipping or denting due to normal environmental factors. The slick surface of a metal roof makes snow and ice more likely to suddenly slide down, potentially causing damage or injury to people or objects below. This disadvantage can be countered, however, with the addition of snow and ice guards. These guards are designed to hold the snow and ice to allow it to melt slowly. Contact Roofmaster today to learn more about metal roofing. Call for a free estimate or fill out the convenient online estimate form.